Getting rid of bed bugs can be a pain, but with the right products and treatment methods, you can do it yourself, saving the expense of hiring an exterminator. Our wide selection of professional grade bed bug treatment products, including bed bug control kits and bed bug monitors, will help you control an infestation in a home, hotel, or dormitory. Naturally based powder which helps control fleas, ticks, and bed bugs on dogs and carpets. Standard replacement drawer for Delta Five Bed Bug Monitoring System (V1 and V2 only). A zippered encasement that helps protect your recliner seat against bed bugs and dust mites. Doing your own bed bug control is a decision you have likely made after experiencing the frustration that comes from living with a bed bug problem and learning of the immense cost involved with hiring an exterminator. 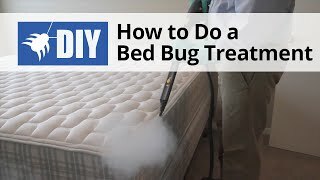 This guide will help you get rid of bed bugs on your own, step-by-step. *When it comes to Bed Bugs, there is no fix-all, easy solution. Complete control requires a carefully planned and designed integrated approach. Bed bugs can be harder to treat than other household pest insects for a few reasons. 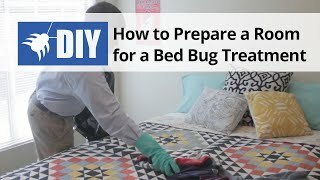 The #1 thing that sets Bed bug control apart from other pest insect management programs is that you have to treat personal items such as clothing, shoes, picture frames, beds and furniture in some way but most other pests allow you to spot spray or apply a perimeter spray around the room. 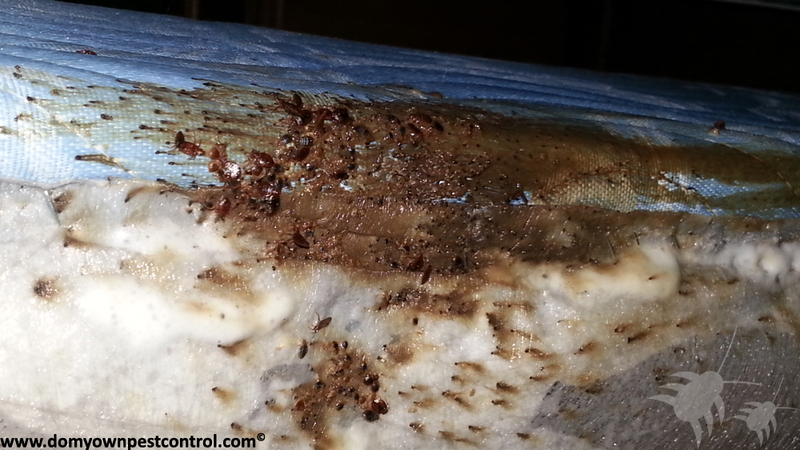 Bed bugs are not attracted to baits like roaches or ants so you must take the treatments directly to them. Another challenge bedbugs present is their ability to quickly become resistant to synthetic pyrethroids. While other insects may build up resistance to this chemical group, bedbugs seem to be able to do so exceptionally fast. 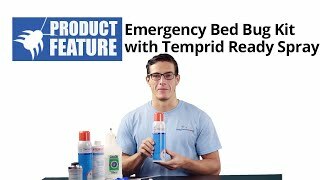 These means you must use a variety of products and techniques to control bedbugs. First and foremost, you must be willing to commit to the labor that is involved which include preparations prior to the treatment, the initial application and the needed repeat applications. 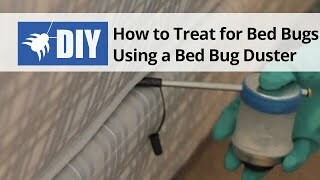 Next, it is very important to choose products that are specifically labeled for bedbugs and labeled for use in the areas you intend to use them. Last, you must be thorough. There are no shortcuts when you are dealing with bedbugs. Every item, every crack and crevice and every void in the infested room must be treated in some way. Failure to be thorough will almost always lead to treatment failure. There are several benefits to doing your own bedbug treatment. 1.You can do the treatment at your own pace and when you have time vs a company that will set a specific time frame for you to be home which could mean you will miss work. 2. You get to choose what products are being used in your home. You don’t have to hope the company you hired is using products you feel are safe for you and your family. 3. No one loves your home and family like you do. Chances are you are going to be very thorough, apply the products only where the instructions say they can be applied and do the follow up treatments as specified. At the end of the day the professional gets to go home, but you and your family will be sleeping in the home. Who has more motivation to get the job done right? 4. There is a clear cost difference between doing your own treatment and hiring a company to do it for you. You will usually spend about $200-$300 to do your own treatment in an average size home while hiring a professional company typically starts at about $1500. While you are using the same exact products they are, you are also paying for their time, travel and labor. There are a few instances when trying to treat your home for bedbugs should only be done by professionals. 1.If you or someone who lives in your home has an illness that can be affected by chemicals, doing treatments yourself would not be recommended. Instead you should consider hiring a company that can do complete heat treatments. 2. Bedbug treatments require lifting objects, bagging clothes and moving large items. If you are unable to do the labor required to do a thorough treatment, it is time to call in a professional company. 3. If you made the mistake of using a fogger or bug bomb in your home to treat for bedbugs and you are now finding bedbugs in odd places like the kitchen, bathroom or on the ceiling, you should call in the pros. It is likely that the house may need to be treated in attics, all wall voids or they may even recommend doing a whole house heat treatment or tenting to eliminate the bedbugs. Bed bug control doesn’t have to be expensive. 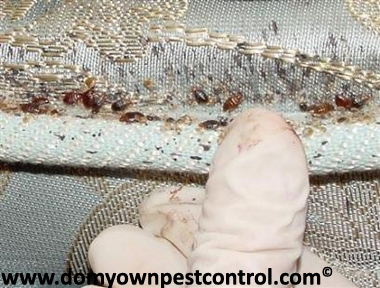 The main objective of DoMyOwnPestControl.com is to save you money on pest control, including the more difficult pests like bed bugs. Bed bugs are one of the most difficult pests to control and if you’re not careful, you may end up throwing your bed, couch, and other pieces of costly furniture, out the door. Don’t let it get to this point; buy our bed bug control products and prevent or kill those bed bugs before it’s too late. With the increasing number of bed bug bites and infestations across the world, many people are wondering how to prevent, control, kill, and quite simply, just get rid of them. Here you will find some of the best bed bug treatment and prevention products available today, as well as all the information and treatment guides you might need. Bedbugs have long been associated with filth and dirt, but any home or dwelling has the potential for bedbugs. They just need the right conditions and food sources to thrive. You will need to know the signs of a bedbug infestation. 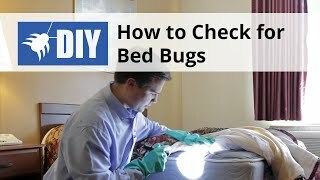 See our article about doing your own bed bug inspection for more information. Since bed bugs do not fly, they are expert hitchhikers and can take fairly long journeys to find food and shelter. This makes hotels and apartments especially vulnerable to bed bugs. See our article about how to avoid hotel bed bugs, as well as our tips for apartment bed bug control. After you have inspected thoroughly, now you must get rid of your invaders. There are two key aspects to controlling bed bugs: non-chemical control to eradicate the bugs from your environment and chemical controls to break the lifecycle of the bed bugs and keep them from returning. Vacuums. 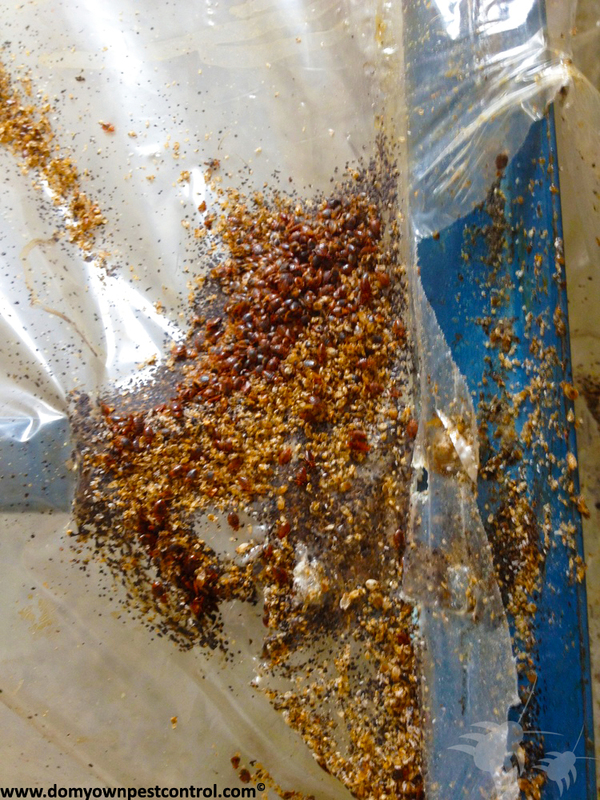 Using a vacuum to target infested bed bug harborages can be useful if it is done properly. Because bed bugs and their eggs cling tightly to surfaces, it is best to scrape the end of the vacuum repeatedly over the target area. Do not use a brush attachment, as some bed bugs and eggs will remain alive in the bristles and be transferred to other areas of the home. After vacuuming, the vacuum bag should be removed, sealed tightly in a garbage bag, and discarded immediately to control for bed bugs and eggs that may have survived the ride down the suction hose. Steamers. Temperatures of 120 degrees F are lethal to bed bugs (as well as most other insects), and the use of a steamer at kills both bed bugs and eggs on contact. The best steamer to use for bed bugs is one that emits very little moisture and has a large brush head. Steam vapors should be too hot to touch to be effective, and the steamer head should be directly over the surface being treated. Finished wood surfaces or other items that might be damaged by high heat should not be treated with the steaming technique. Washer & Dryer. When bed bugs manage to infest personal items such as bedding and clothing that cannot be treated with pesticides, a great non-chemical treatment is to wash and dry the items on the hottest possible setting. The typical dryer will reach up to 180 degrees F ten minutes into its cycle, a temperature that is lethal to bed bugs and their eggs. Other items that can be treated in the washer and dryer, or just the dryer alone include soft toys, rugs, backpacks, and footwear. Disposal. 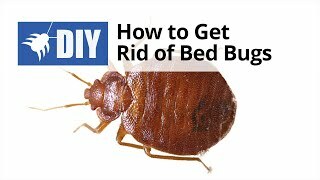 The quickest and easiest non-chemical way to take a sizeable chunk out of a bed bug population is to throw out infested items. Before discarding infested items, always bag or wrap them to prevent dislodgement of bed bugs on the way to the dumpster. Encasement. If an old infested bed is to be kept, your best non-chemical method of control is to place a smooth, tight-fitting, hardy cover over your old mattress. This is known as encasement. Encasing the mattress and box springs prevents an infestation from growing by denying bed bugs access to the hard-to-treat inner areas. You will easily be able to spot and remove new clusters of bed bugs on the smooth cover, and bed bugs that happen to be inside the cover become entombed and will eventually die. Elimination of Harborages. 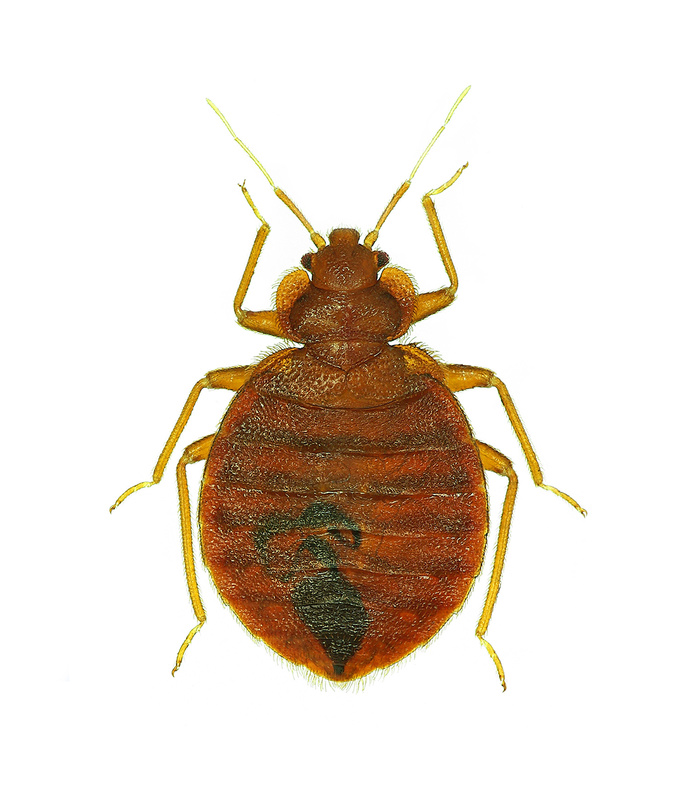 As available harborages are limited, the bed bug population becomes stressed. Bed bugs will have to travel greater distances in order to find suitable environments to occupy, and will be exposed to more pesticides in the process of pilgrimage. Eliminating harborages include using caulk or other sealants to close off cracks, crevices, gaps around plumbing and ductwork, and other entry points near floors, walls, and ceilings. Clutter (stacks of books, papers, boxes, piles of clothing, etc) should also be eliminated, since these also provide favorite bed bug harborages. To achieve the maximum level of control, it will be necessary to incorporate some form of pesticide use as part of the overall approach to bed bug management. Think of pesticides as the powerful punch of your program. When applying pesticides, be sure to treat all surrounding areas to the infestation, in addition to the source itself, including wall voids between infested rooms. Dusts. Bed Bug dusts such as Drione Dust with pyrethrins for crack and crevice treatments. Dusts kill bed bugs where they are most likely to harbor: in cracks and crevices. The bugs can fit in spaces as thin as a credit card, but dusts make those spaces easy to reach. Use the Bellow Hand Duster for easier and safer application. "Hey. I am Chris, the bug guy, from domyownpestcontrol.com. And today I going to do an overview of the Bedlam Bed Bug Spray. The Bedlam Spray is produced by MGK and had an active ingredient called phenothrin. Its part of the Pyretheroid family. This product is mainly used for bedbugs and can be found in our bed bug kits. And also cam be used to treat other pests. The Bedlam insecticide for indoor use and is pet-safe, but do not spray your pets. Before you using Bedlam Bed Bug Spray make sure you are wearing gloves like this. Next you want to shake. Then, you want to remove the top like this, then insert the straw like this. Now you are ready to go. Bedlam Bed Bug Spray is great because its water soluble and safe for appolstured furniture. Now, I am going to show you how to apply this to your furniture using this couch as an example. The first step is the remove your throw pillows like this. If you have any loose cushions on you couch you want to those to get into the cracks and crevasses where bed bugs can hide. On this couch, there are no removable cushions, so I will show you how to spray the cracks and crevasses. Like this. It is important to let the product dry on the couch before your using it or sitting on it. It usually takes about an hour. Also, you want to make sure you spray the underside of the furniture, door frames, window frames, and baseboards. When spraying the baseboards, you want sure you focus on spraying the bottom crack and top crack, like this. And also when spraying door frames and window frames you spray directly into the cracks like this. The Bedlam spray is found at domyownpestcontrol.com. I strongly recommend this product. You should definitely go try it. " Contact Kill Aerosols. Contact sprays with pyrethrins such as CB-80 Extra Aerosol - 17 oz. or 565 PLUS XLO kill bed bugs immediately, on contact. These aerosols are great for spot treatments. IGRs (Insect Growth Regulators): Gentrol IGR Concentrate or Gentrol Aerosol IGR - 16 oz. may be used as an added measure in addition to the products above (and not as a replacement). IGRs prevent bed bugs from reproducing. The final step in bed bug management is the most important. You will probably see a significant improvement after the initial treatment and implementation of the steps in this program. Complete bed bug elimination takes patience, persistence, and time. Following an initial treatment and implementation, you should continue to actively inspect on a regular schedule (every 2 or 3 weeks) to monitor bed bug populations. Non-chemical and chemical control will likely need to be repeated on a bi-monthly to monthly basis until all signs of infestation disappear completely. Some of the signs of bed bugs include small blood stains or small, light brown skins found on bed sheets, headboards, walls, and other areas of a room.